Angels In The Clouds. 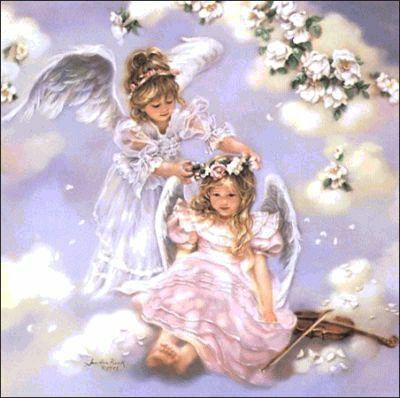 little angels in the clouds with flowers. Wallpaper and background images in the Angels club tagged: angels clouds flowers image sky fan art. This Angels fan art might contain anime, comic book, manga, and cartoon. You are welcome susie !